Our product range includes a wide range of digital stamping machine, fully automatic hot foil stamping machines, hot foil stamping machine, 330a hot foil printing machine, 330b hot foil printing machine and 3050b digital foil stamping machine. 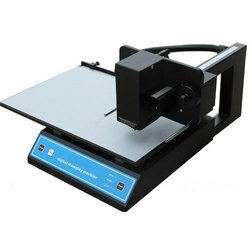 Under the leadership of our professionals, we are offering a pioneering collection of Digital Stamping machine. This foil stamping machine is exactly designed as per our customer’s request by using latest technology & quality material. Along with that, our offered foil stamping machine is passed on various procedures related to ensuring its quality. 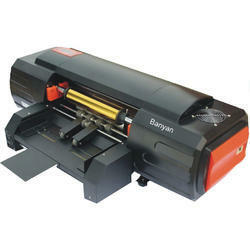 Customers can easily avail this foil stamping machine from us at reasonable rates along with numerous specifications. Being the most appreciated firm, we provide an enormous range of Fully Automatic Hot Foil Stamping Machines. Clients can avail from us a quality-approved range of Hot Foil Stamping Machine. These digital foil stamping machines are widely utilized for printing and embossing purposes. The offered digital foil stamping machine designed & developed for printing on a wide variety of materials like paper, plastic, cloth, leather and fiber, our machines are known to deliver optimum performance. Plateless or no dies, large format stamping, roll materials and sheets printing. Online or offline printing. Plateless or no dies, a3/A4 size stamping, automatically feed sheets, online or offline printing. 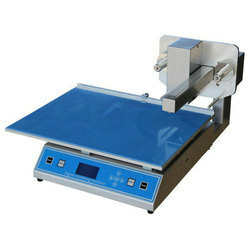 New design, digital machine completely replace the traditional aluminum foil pressing machine. 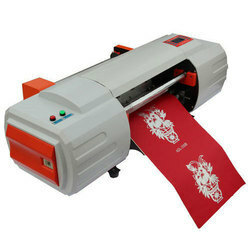 Printing Media Paper, PVC card, leather, sticky notes, fabric, ribbon etc. Graphic hardcover, card design, sign, image, gift, personalized greeting card, celebration etc. Paper, PVC card, leather, sticky notes, fabric, ribbon etc.